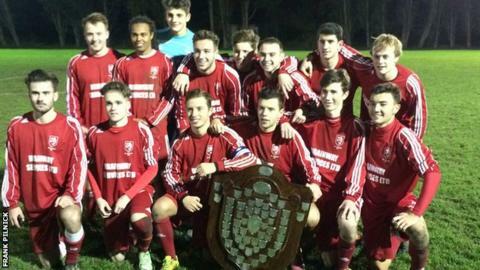 St Brelade have begun their defence of the Trinity Shield with a convincing 5-1 win over St Saviour. James Carolan scored a hat-trick, while Jonny Le Quesne got the other two. St Brelade will face the winners of Wednesday's quarter-final between St Clement and St Ouen in a semi-final on 29 December. The tournament is the oldest football competition in the Channel Islands and sees players represent the parish where they were either born or reside in.